After weeks of having to follow detour signs to get into campus, you may be wondering what is going on behind the roadblocks. The traffic circle being constructed at the intersection of Grantham and Lisburn Roads is just the beginning of a 15-20-year-long housing and commercial development project happening across from campus. Rider Musser Development is a for-profit corporation that was created in 2014. They formed in order to develop three plots of farmland across from campus, acquired by Messiah between 1997 and 2003. Several Members of Messiah College’s Board of Trustees also sit on the Board of Directors of Rider Musser Development. That board, along with President and CEO of Rider Musser, Kelly Phipps, consulted with the college and decided to combine this open farmland into one large community—Oakwood Hills. The initial costs for this estimated $50-$100 million project will come from Messiah’s alternative investments fund. This fund is the approximately 15% that Messiah sets aside from their endowment funds. With the college’s equity as a starting point, Rider Musser is in a better place to be able to receive bonds from the Cumberland County Industrial Development Authority and government grants to continue financing the construction. 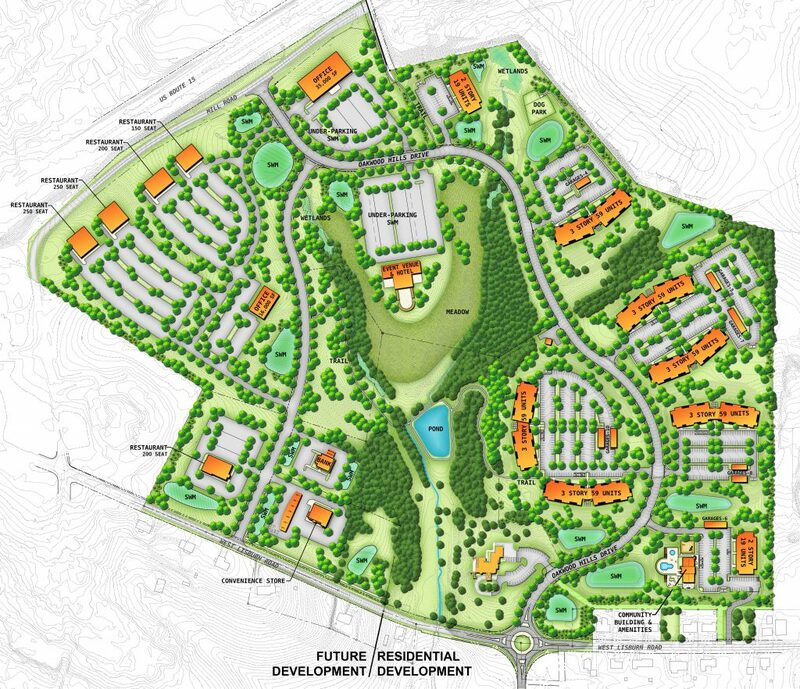 Oakwood Hills will contain two parts—a residential community and a commercial zone. The residential community will include six apartment buildings, a clubhouse, pool and walking trails, while the commercial area will be a space for potential offices, retail and restaurants. 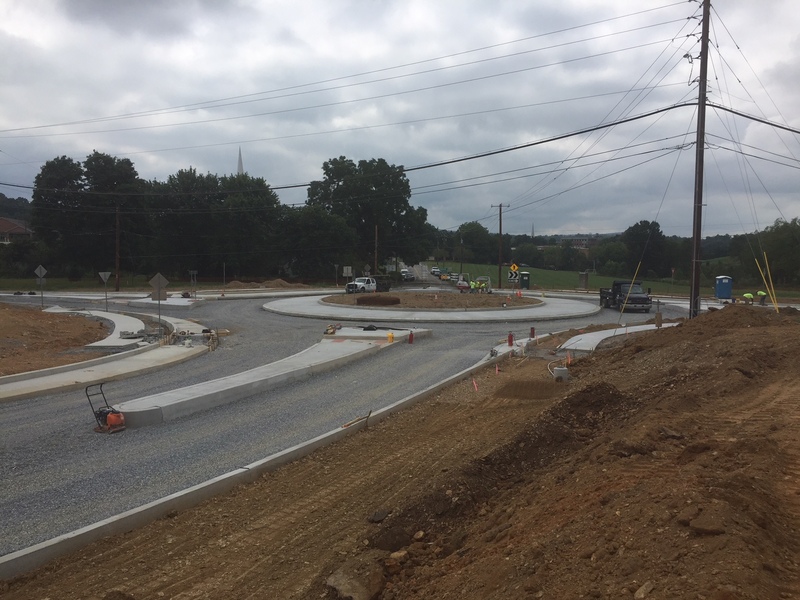 The traffic circle project should be finished in the next few days, but the buildings within Oakwood Hills will not be open until May. The goal for this extensive project is to take the land, which is currently a non-productive asset, and turn it into a productive one by developing a real estate community. “This community will eventually produce a recurring stream of income to the college that will be independent of tuition revenue and will be used to offset operational expenses and lower the cost of tuition,” Phipps said. Funds flowing back to the college will be treated as investment returns. “Generally, investment returns of the endowment are used in many ways that benefit the College, including scholarships and funding day-to-day operations,” Director of Finance Donald Burgard added. While the apartments are not for current Messiah students, Phipps sees Oakwood Hills as a space that students could enjoy, whether it’s a place to study and have coffee or to take a walk on a trail. “There is the practical benefit of developing a residential community that has living, walking and running opportunities, and on the commercial portion of the development will be restaurants and convenience stores that will be within walking distance of the campus,” Phipps said. Rider Musser Development is not only benefiting Messiah. The company projects that Oakwood Hills will provide approximately 875 full-time jobs, a source of tax revenue for Upper Allen Township and a place for the community to enjoy. “We wanted the community to benefit as well as the college,” Phipps said. Throughout the process, Rider Musser has collaborated with a number of individuals to best serve the community and preserve the land on which they are building. David Foster, professor of biology and environmental science, is a member of the Rider Musser Development Board of Directors and has been working with the company to develop the sustainable aspect of the project. Research such as wetland delineation and animal population tracking was done by Foster and students from his Biology and Ecological Field Techniques class. Their findings will be presented as recommendations for the undeveloped portions of the land and for improvement of the property. “We need to continue to be involved, getting students and faculty over there, having eyes on the ground—that’s key,” Foster said. In the same spirit of involvement, Rider Musser is looking to hire a Messiah College intern to help them develop a concierge service program at the clubhouse they will be building. Interested parties can reach out to Director of Operations Krista Greene at kagreene@ridermusserdevelopment.com.